You cannot write about Israeli Jazz without mentioning Avishai. This bass player from Jerusalem probably is the most prominent Israeli Jazz musician, after being “discovered” by nobody less than Chick Corea back in 1996. Personally, unfortunately, I’m not such a big fan of his albums, there are some individual tracks that I really like, but there isn’t a single album I really love throughout. Luckily, he in turn discovered Shai Maestro, when needing a piano player, and he hired him pretty much directly out of school apparently. Talk about risk-taking, but well done! You’ll hear Maestro playing the piano on Gently Disturbed, Sensitive Hours, Seven Seas, and Aurora. During this time, Maestro relocated to New York City, probably a smart choice for a Jazz musician. 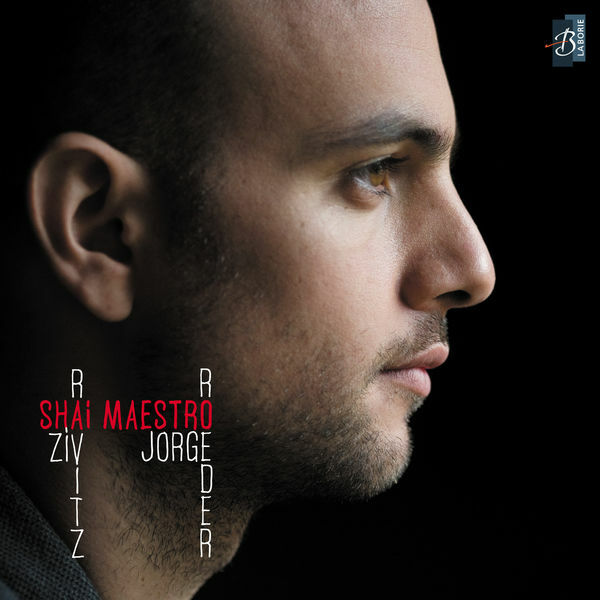 Then, in 2011, at the tender age of 24, Shai Maestro decided he wanted to launch his own trio, together with Jorge Roeder (from Peru) on bass and Ziz Ravitz (Israel) on drums, and they launched their first album, simply called Shai Maestro Trio, in early 2012, on the French label Laborie Jazz. Since the debut album (pictured above), Maestro has recorded two more albums, The Road To Ithaca and Untold Stories (the latter including some live tracks), both are very good, but his debut still is my favorite album. There is just such a beautiful mixture of evolving melodies, some Middle-Eastern influences, and a great understanding of the piano trio tradition (legend has it Shai discoverd Jazz at the age of 8 with an Oscar Peterson album), that you just don’t stop listening to this beautiful album. And if you get the chance to see him live, go for it. The handful of live tracks on Untold Stories gives you some idea on what to expect, but the additional time and freedom the trio has live just creates something very very beautiful. They really interact as if they’d been together for decades. This is one of the few musicians where I’ll safely buy any future album blindly. He’s only 28 now, so we’ll hopefully be enjoying many more albums in the future. My rating: 5 stars (yes I know, I keep giving 5 stars quite often recently, but it is just so much more fun writing about the truly outstanding albums). I never heard about Shai Maestro, but after your review I knew I should listen him. Generally I am not too much interested in jazz trio format (with exception of Jarrett’s Standards Trio, which I adore any moment of day or night), and I see there are much more new recordings in such format than I would ever need or may be able to follow. However, this album is really outstanding, and I will be glad to join you in recommending it to anybody. Thank you! Thanks a lot. If you like Shai and Keith, I suggest you at least check out some of my other trio recommendations, e.g. Helge Lien or Triosence. I love Jarrett’s trio as well, but we have so many other great artists as well today. In my particular case it clearly represents a problem…) I am spending too much time checking new artists and their recordings that no time left to listen music which I really love. From the other side I am not ceasing to look for new discoveries. I tried Helge Lien, will check Triosence. Thank you again.